The Keylite Fire Escape Roof Window opens to 45 degrees, complying with statutory regulations. This is ideal in low pitch roofs as the window opens outward, maximising the daylight that enters the room without the sash encroaching on your valuable internal space. Means of Escape - As a means of escape, the window opens to an unobstructed area for safe exit in the event of and emergency. The opening handle located at the bottom of the window is easily accessible. 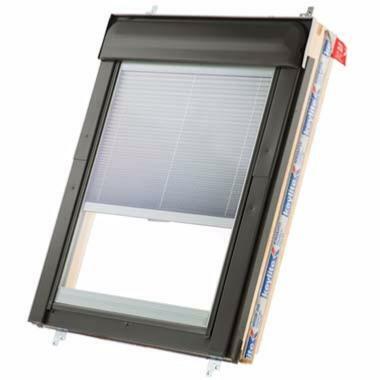 Easy to Use - The multi-stop opening feature allows the user to simply push the window to and position between 0-45 degrees and remain open for maximum flexibility. Effective Ventilation - Effective ventilation is provided by the vent flap at the top of the window which regulates the air flow, even when the window is closed. Thermal Performance - Only Keylite Windows have an expanding thermal collar, warm edge glazing and a streamlined fit as standard, leading to enhanced thermal performance.